A good knife is arguably one of the most important considerations for the prepper and should be close to the top of the equipment list. It doesn’t take a lot of imagination to think of all the situations where a good knife could mean the difference between survival and, well, not surviving. From cutting firewood and building shelter, to preparing food, first aid and even defense, there’s hardly a survival situation where a piece of sharp steel doesn’t come in real handy. So what makes a good survival knife? The prevailing wisdom has changed somewhat over the years. It used to be that bigger was better. This probably started in the 1950’s with America’s love affair with the Bowie knife as popularized by Davy Crockett and Jim Bowie at the Alamo. The well-equipped frontiersman would always have his trusty Bowie at hand for camp chores of course but also for fighting bears and Indians. Then came Rambo with his huge fighting blade with the cool hidden compartment to store fish hooks and band-aids and stuff, and Crocodile Dundee with his steel sidekick. Some argue that a large field knife combines the functions of knife and hatchet into one convenient tool but in practice it doesn’t perform either particularly well, not being large enough for hard hatchet work but big enough to be unwieldy for the most common cutting chores. Better to carry a hatchet or an axe separately. A knife is made for cutting things, not chopping wood, digging or prying. A word about knife quality. For years the U.S. market has been flooded with cheap knives made in China. These have proven quite popular for their low cost and good looks but have gained a well-deserved reputation for terrible quality and equally bad performance. To the horror of knife enthusiasts everywhere almost all of the great old American knife companies are having their wares made overseas. However, they’ve also started demanding that their knives be made to certain minimum specifications, and the Chinese themselves seem to have realized that they can offer a quality product and still make a hefty profit. So the situation seems to be changing, and good quality knives produced in China or Taiwan are starting to be seen on the market at very reasonable prices. But do some research and read up on the online knife forums to get a sense of what’s good and what’s not before buying. 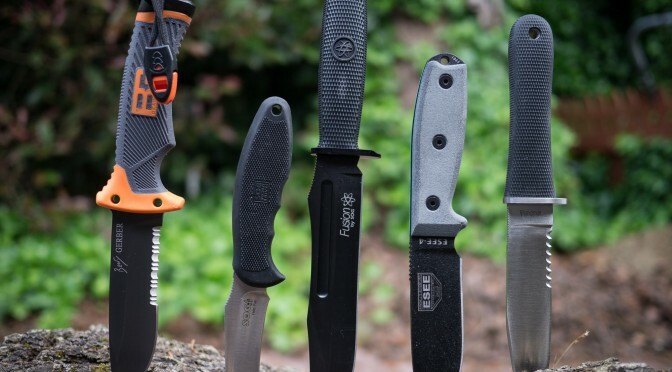 Here’s a look at five knives that every prepper should consider adding to their equipment. Mora Knives – No hesitation at all in saying these wonderful little knives should be a part of everyone’s survival gear. Buy one, buy several, they’re cheap. Made in the traditional Scandinavian style they are unsurpassed for basic, no-nonsense practical utility. They come in traditional carbon steel, laminated carbon steel or Swedish Sandvik stainless. The basic model can be found for around $8.95. The Mora knife has gained a stellar reputation with outdoorsmen the world over and are considered one of the best buys out there. Kabar Knives – The Kabar Fighting and Utility Knife is one of the most familiar knives in the world and is a great choice for a larger all around knife. It’s a serious piece of 1095 carbon steel that’s been battle and time tested. The one drawback is that it’s a stick tang knife, which creates a weak point where the blade meets the handle but as long as you’re using it for cutting as intended that’s not a problem, and you can’t really argue with success. These run about $70 new and are a great bargain. Tramontina Machetes – Not a knife exactly but a good machete is extremely useful in the field. Tramontina is a Brazilian company that’s been around for a long time but until recently wasn’t well known in the U.S. Their machetes have made a great impression not only for their excellent quality but also for their low cost, less than $20 new. And the smaller sizes make great utility knives too. Skinning Knives – No particular brand or design to recommend here but a good skinning knife is almost essential, a blade designed for the job really does make it easier. Choose one that fits the hand comfortably and is made from quality steel to reduce re-sharpening. Fillet Knives – Good fillet knives are cheap and readily available. 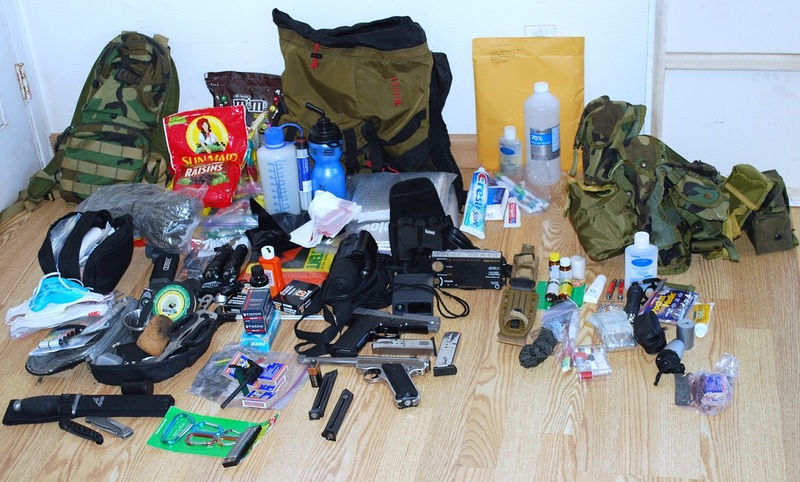 Preppers might want to steer clear of the electric ones for obvious reasons. These can double as great food prep knives and the smaller ones work well for boning and caping. While these are all great knives for preppers to have, in a survival situation you probably will only be carrying one blade so you want to pick one that can be useful for most occasions and is somewhat lightweight and easy to handle. A Mora knife, or something similar is a great place to start. This article should be titled “3 Great knife manufacturers and 3 other knife types without specific manufacturers”. It’s title is misleading to say the least. Especially with a picture that suggests 5 specific knives: Gerber BG, 2 SOGs, an Essee -4, And what looks to possibly be a cold steel. None of the knives pictured are of course of the mora, Kabar, or Tramontina machete – make, so even the image is misleading. The article itself delves into some philosophy of “prepping” knives with the 3 and 2 list shoved inside somewhere. No offense, I just wish this article lived up to it’s name, and I wish the image lived up to it too.